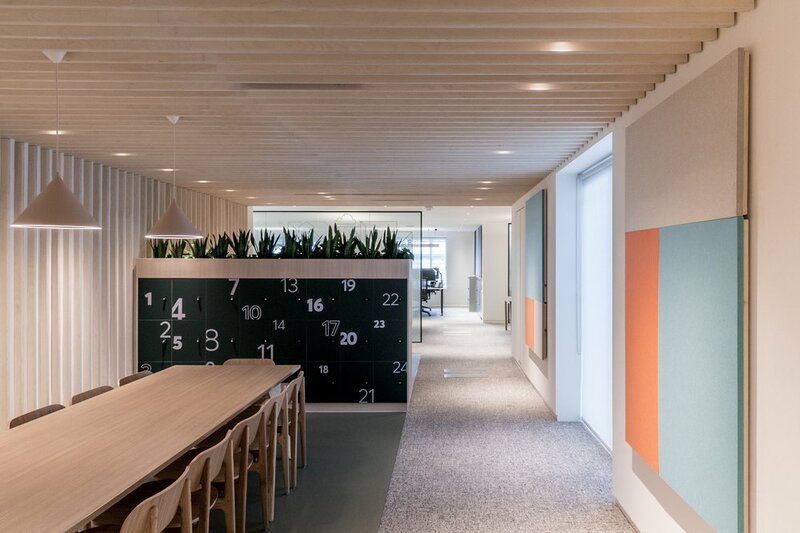 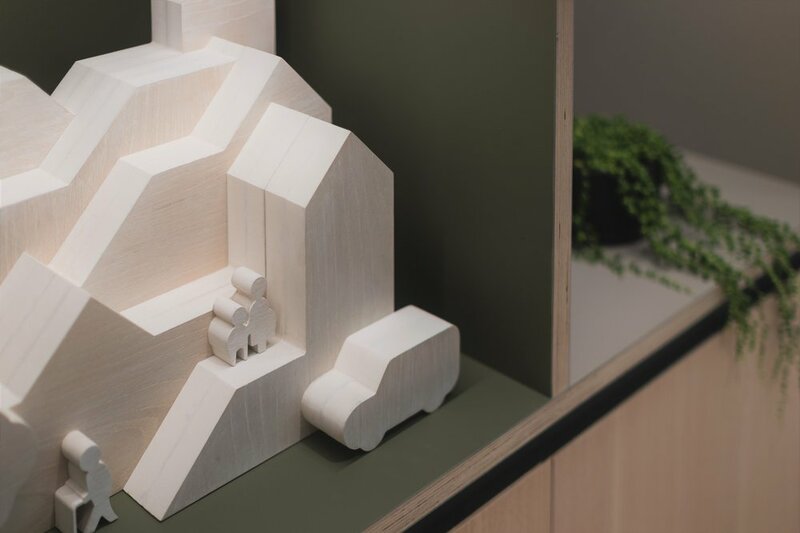 After the HemingwayDesign brand team had completed a complete re-fresh of their brand, St. Modwen approached us to conceive an interior office strategy for their offices in Birmingham and London. 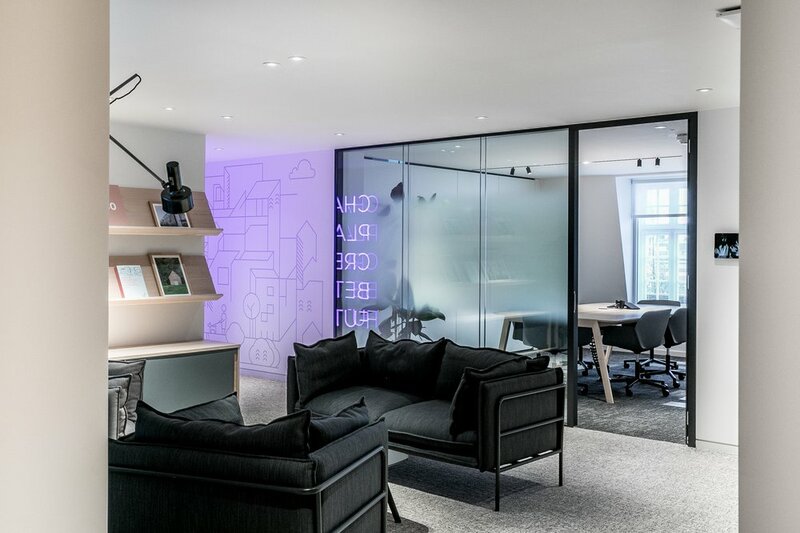 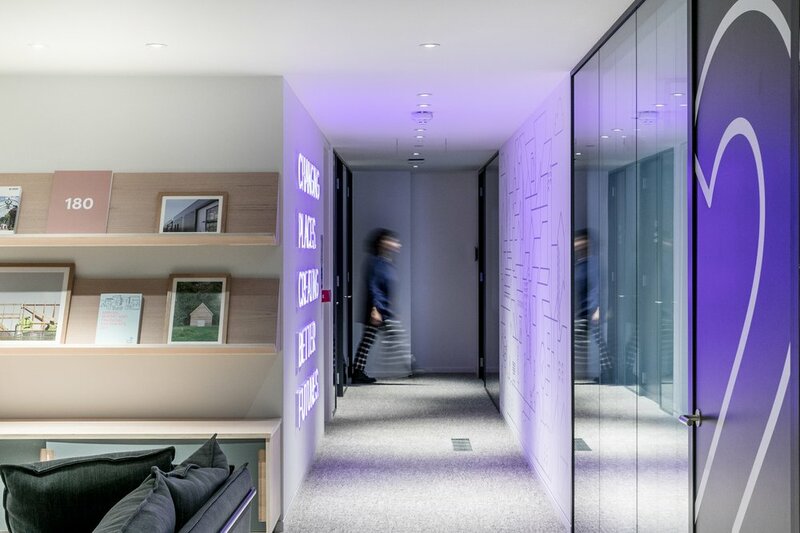 The concept was to design a space that supported their core values of quality and accountability, as well as their mission to unlock human potential. 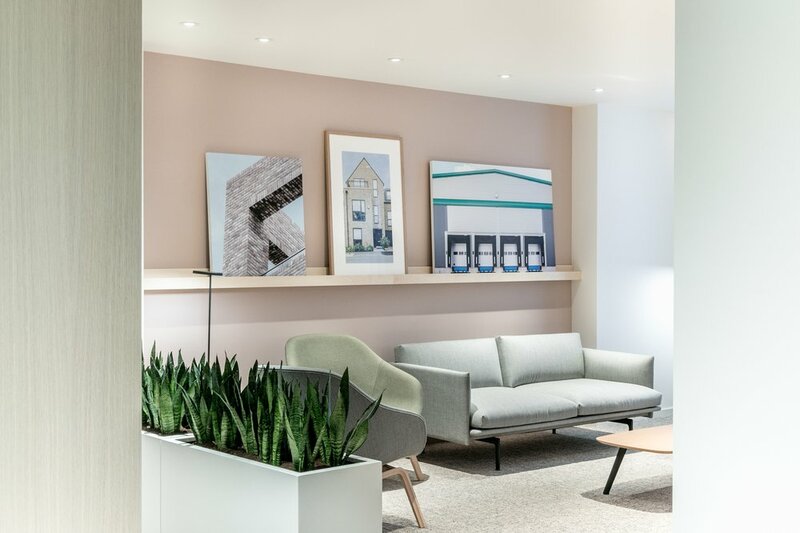 By embracing agile working principles, St. Modwen’s newly refurbished offices offer a flexible and productive work space. 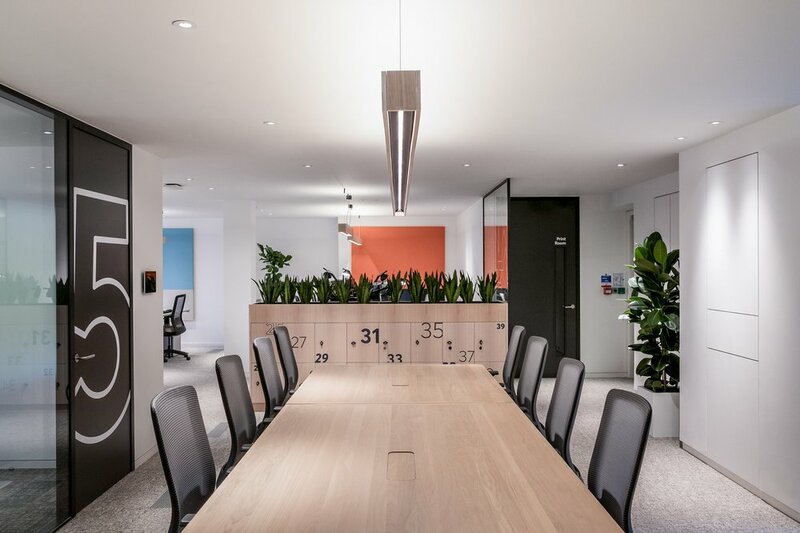 A variety of activity-based areas allow staff to work standing or seated, collaboratively or completely on their own, in a meeting room or more informally. 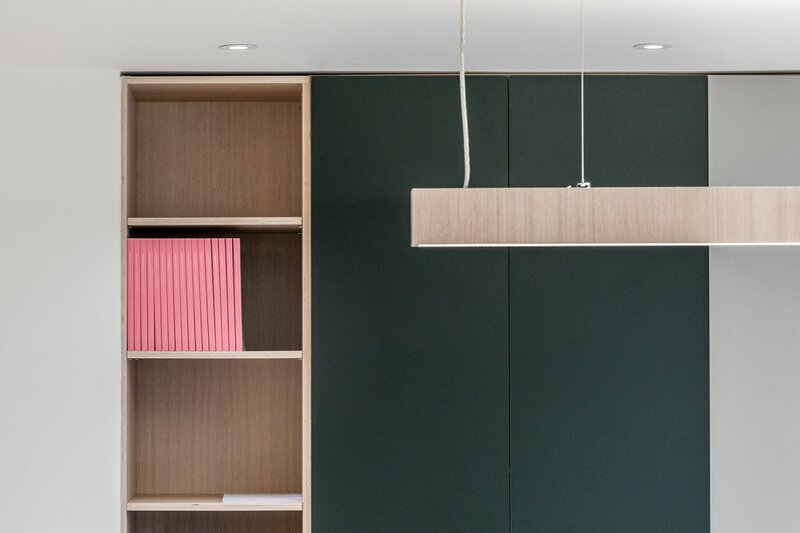 Bespoke joinery coupled with carefully selected furniture pieces and light fittings give a contemporary look. 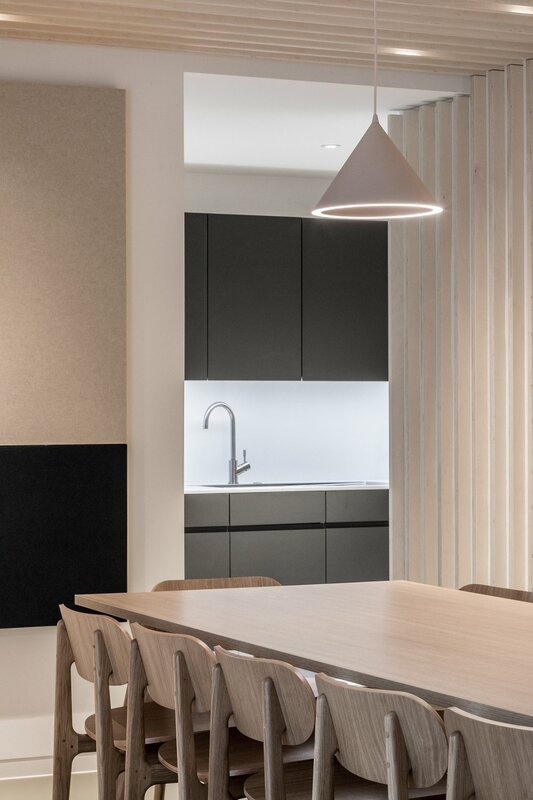 The creative use of finishes and materials has resulted in intrinsic acoustic quality. 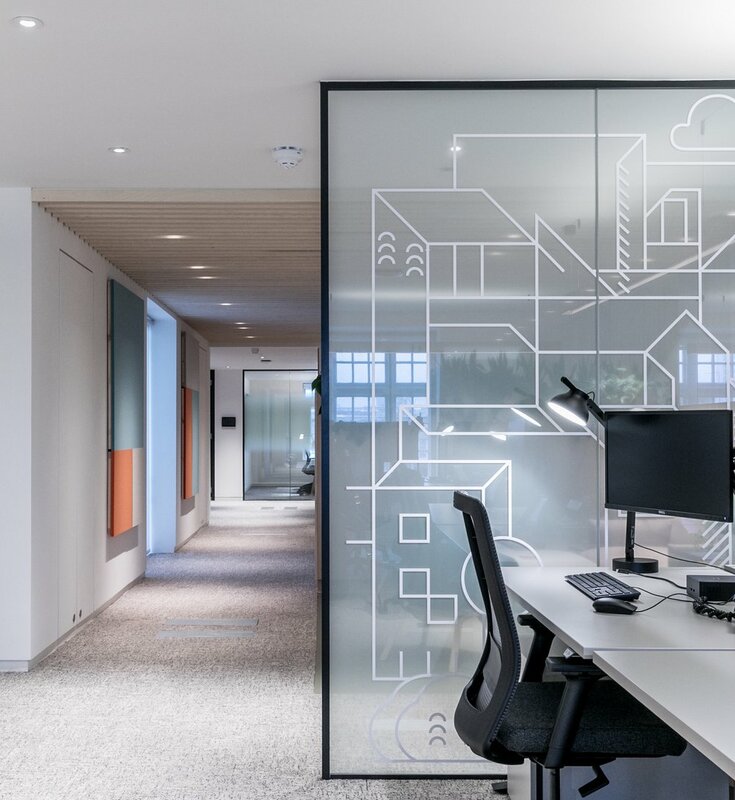 No detail is overlooked – this extends to artwork and picture frames, wayfinding, planting, the quality of materials used and coordination with other consultants. 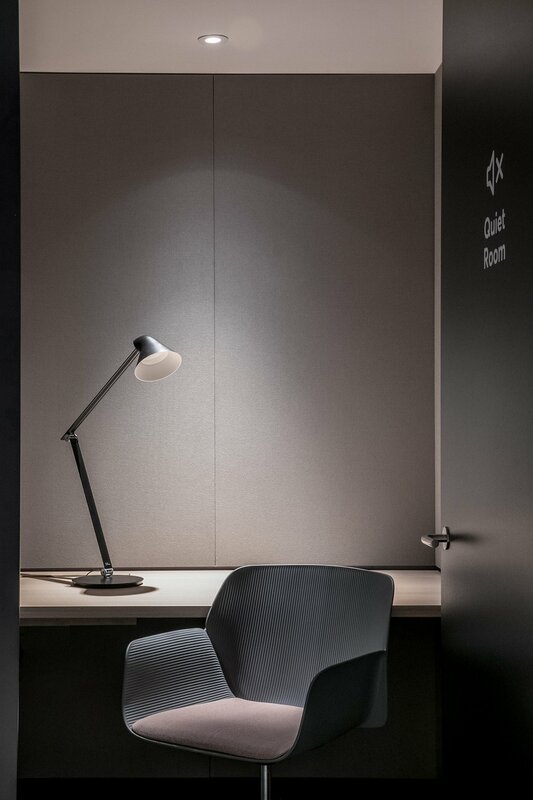 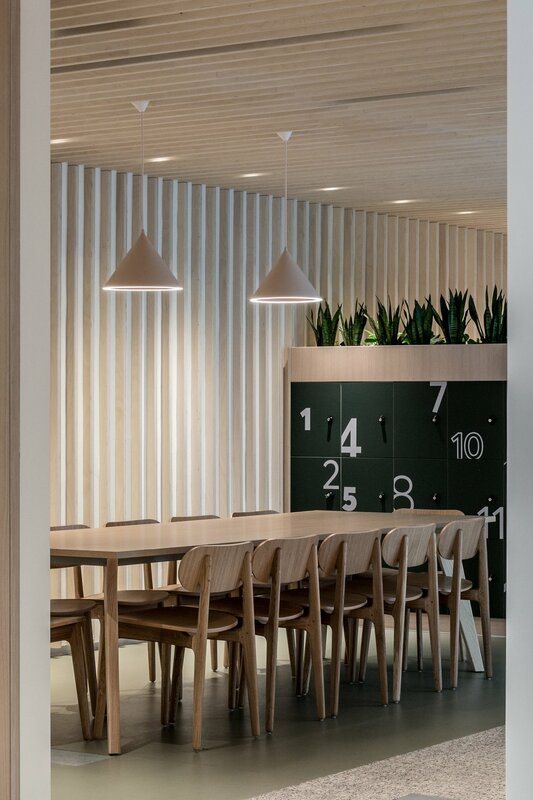 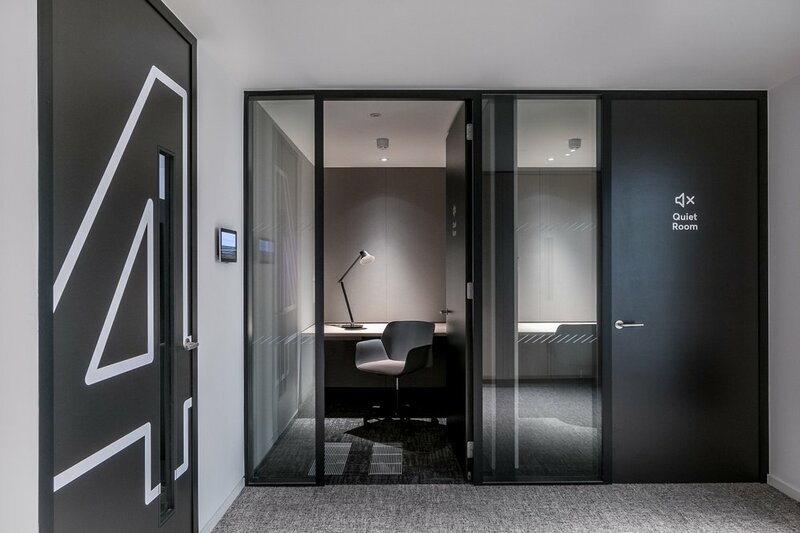 The workspaces include general hot desking, private offices, bespoke storage, lockers, kitchen and tea point areas, meeting rooms, collaborative working zones private offices, ‘quiet booths’, informal breakout areas, as well as the latest audio-visual technology. 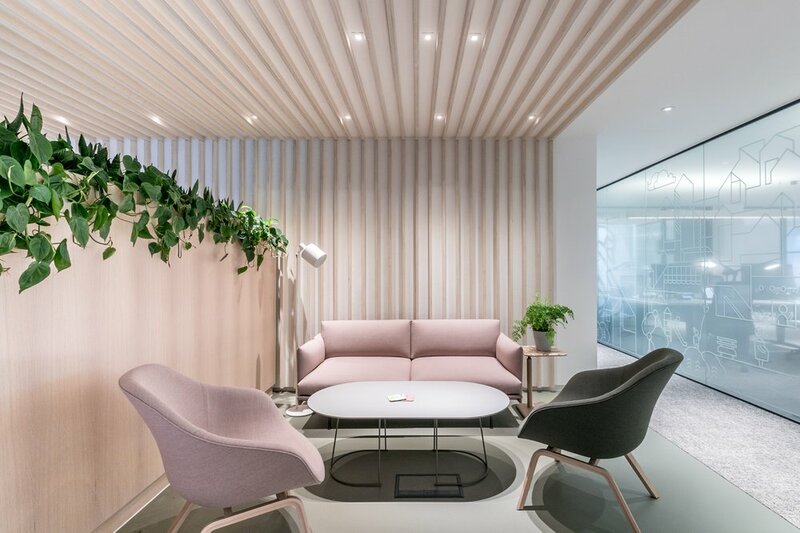 The smaller office at Great Portland Street, London did away with a traditional reception, in favour of a large sitting area with an intentionally relaxed, almost homely feel.